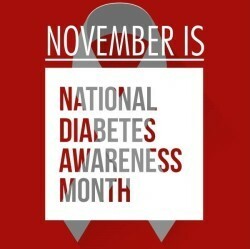 Every November, National Diabetes Awareness Month is observed nationwide. It serves as a chance to raise awareness about the impact of diabetes in our community. 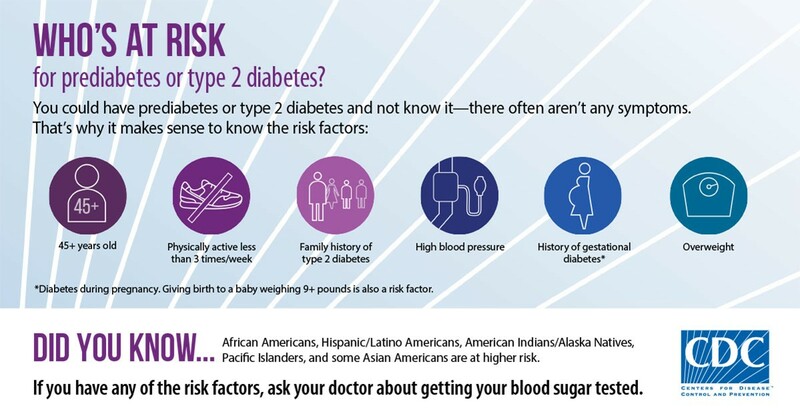 Black Americans have between a 70 and 80% increased risk of developing type 2 diabetes when compared with non-Hispanic Whites. We are also more likely to develop insulin resistance, or prediabetes, which can lead to the development of type 2 diabetes. Perhaps you or someone you know has been diagnosed with prediabetes. For me, it was my dad when, on the day before his 61st birthday, he woke up unable to move his wrist and hand. After almost 10 hours of tests, a neurologist concluded that his symptoms and blood sugar levels were indicative of prediabetes. Many people, just like my dad, do not know they are living with prediabetes or type 2 diabetes if they are not experiencing symptoms. Symptoms are often mild and slow to develop. They include numbness/tingling in feet or hands, fatigue, blurred vision, increased thirst and urination, etc. Being overweight or obese is more common among African Americans, and that is a big contributor to our high rates of diabetes. 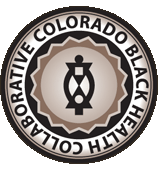 Here in Colorado, the “leanest” state in the country for adults, ~70% of Black adults are overweight (with a BMI 25-29.9) or obese (with a BMI of 30 or higher) (Kaiser Family Foundation). Carrying excess weight is the biggest modifiable risk factor (one that we have control over) for diabetes; by losing weight, we can manage prediabetes and/or lower our risk of developing type 2 diabetes. What can I do to prevent prediabetes and type 2 diabetes? Lose weight. If overweight or obese, a 5-7% reduction in body weight can help lower your risk. Losing weight takes time, and small reductions are beneficial. Talk with your doctor or dietitian to identify a healthy goal weight and work slowly towards it. Eat healthy. Try to add more fruits, vegetables, whole grains, and lean proteins. Watch portion sizes: eating smaller portions can help you cut calories and lose weight. Choose foods with less fat and added sugar, and drink water instead of sugary drinks. Move more. Exercise can help you lose weight, and it also helps your body use insulin better. Aim for 150 minutes of physical activity each week, or 30 minutes five days/week. Choose activities that you enjoy and can stick with, like brisk walking, dancing, or playing outside with the kids. 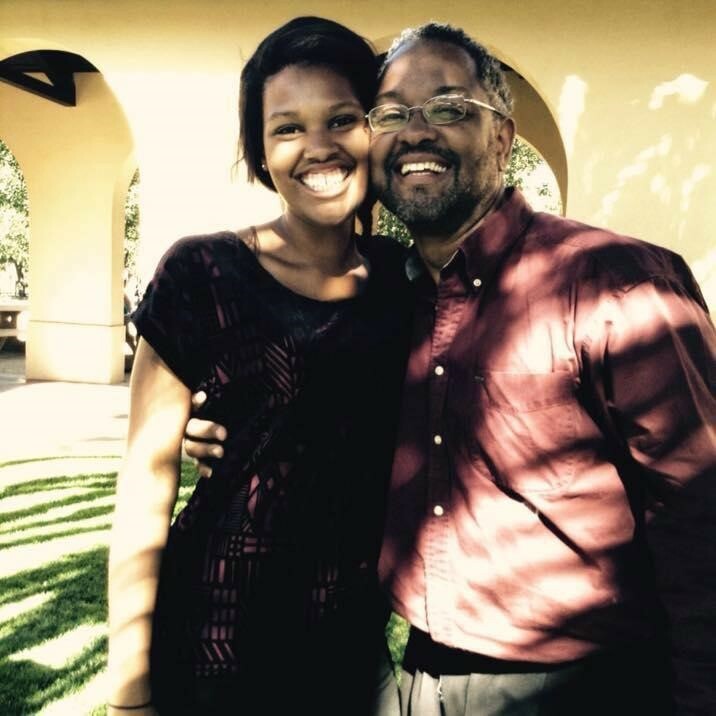 My dad feels blessed to be alive and able to make changes that reversed his prediabetes and prevented the onset of type 2 diabetes. He was able to focus on healthy eating and add a daily walk to his schedule. He lost weight and his symptoms resolved. Talk to your doctor about any health concerns or symptoms you may have. Want to know more about diabetes? Read on for more information. Diabetes is a long-lasting, chronic disease that is characterized by high blood sugar. There are two main types of diabetes – type 1 and type 2 – which are treated and managed differently. Both types result in high blood sugar, but type 2 is much more common (90% of people with diabetes have type 2). Type 1 diabetes is when the body does not make enough insulin, a hormone that gets blood sugar into cells for energy. It is managed through an insulin regimen. Type 2 diabetes is when the body is insulin resistant and does not use insulin well enough to get blood sugar into cells. It can be managed or reversed through weight loss and healthy eating. Diabetes can also occur in women during pregnancy, which is called gestational diabetes. Promoting health after gestational diabetes is the focus of this year’s National Diabetes Month. This type of diabetes usually goes away after birth, but it makes it more likely for the new mom to develop type 2 diabetes and for the baby to become obese and at risk for type 2 diabetes later in life. Prediabetes is a precursor to type 2 diabetes. According to the latest National Diabetes Statistics Report, 2017, ⅓ of adults in the U.S. have prediabetes, but 9 out of 10 don’t know. This diagnosis is made when blood sugar levels are higher than normal but not high enough to be considered diabetes. It can lead to type 2 diabetes if not addressed. It is possible to reverse prediabetes and avoid type 2 diabetes with healthy eating and exercise. Uncontrolled diabetes can lead to several health problems. These include heart, kidney, and nonalcoholic fatty liver disease; nerve damage; sleep apnea; dementia; and depression. These complications can lead to blindness and amputations. It is important for us to lower our chances of developing diabetes and to manage prediabetes or diabetes if they do develop. Being age 45 or older. Being African American, Alaska Native, American Indian, Asian American, Hispanic/Latino, Native Hawaiian, or Pacific Islander. Having high blood pressure, high blood triglyceride levels, and/or low HDL (“good”) cholesterol levels. Having prediabetes or gestational diabetes. It is possible for type 2 diabetes to develop at any age, even in children. And although there is an increased risk of developing diabetes if we have a family history of the condition, it is possible to lower our risk by losing weight, eating healthy most of the time, and being more active.